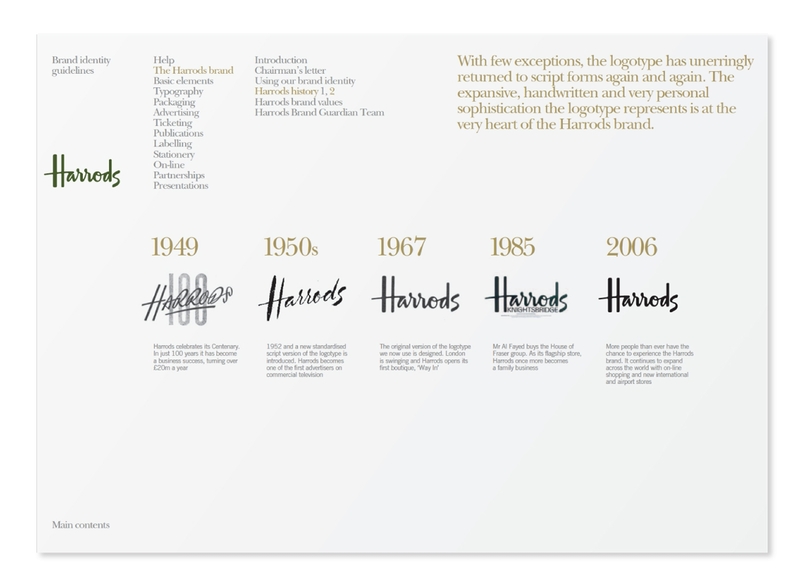 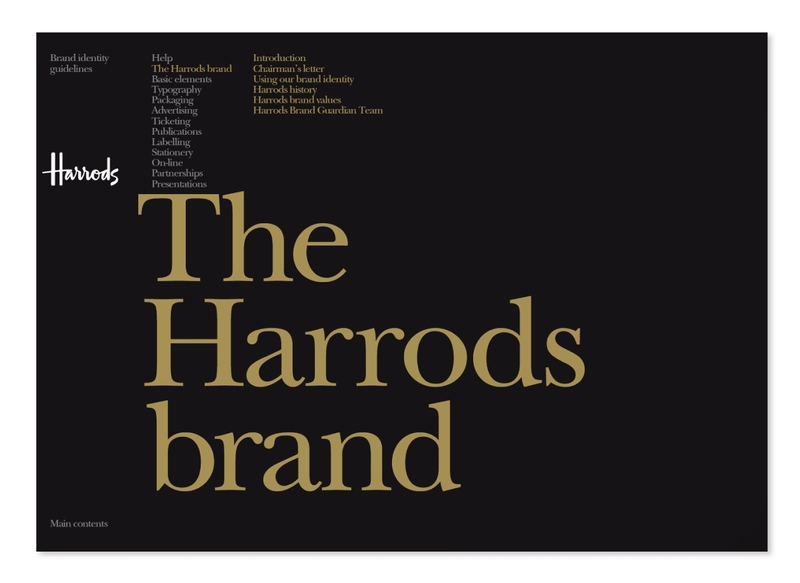 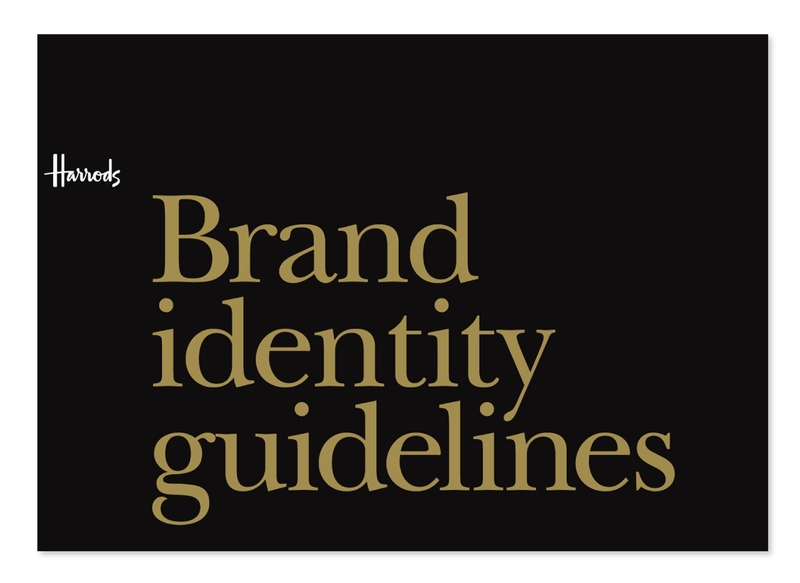 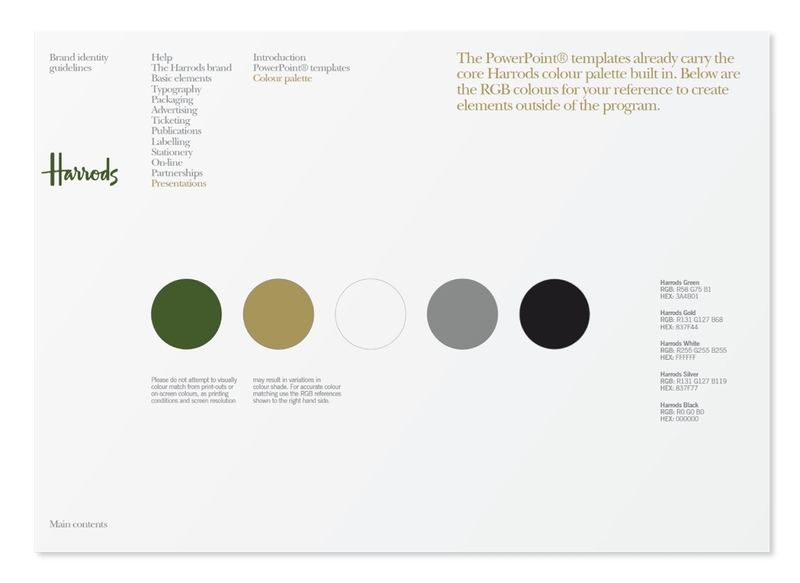 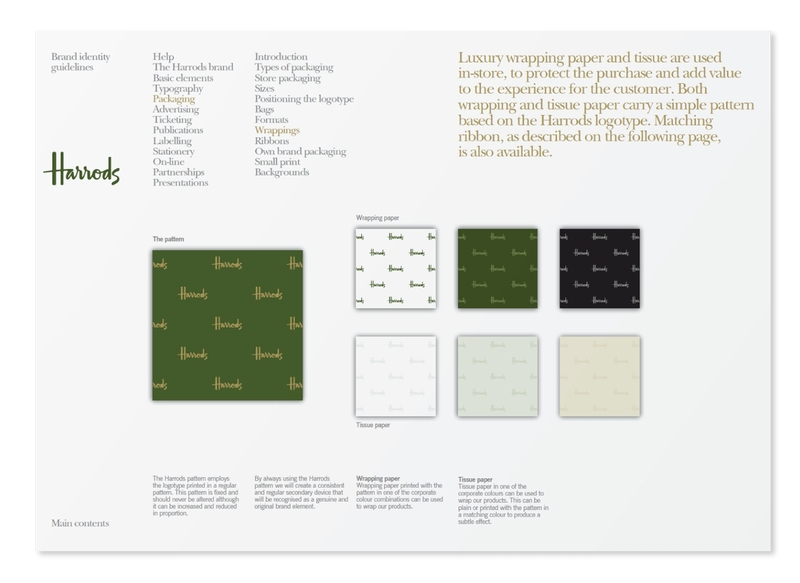 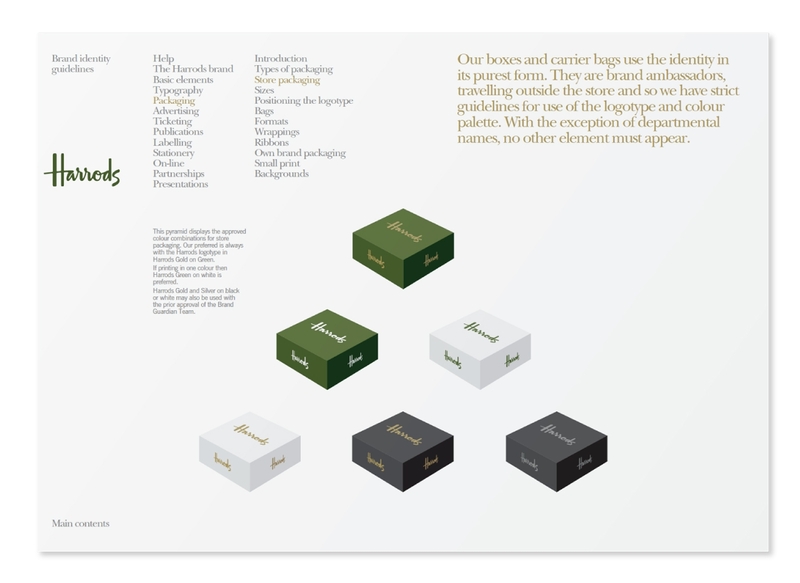 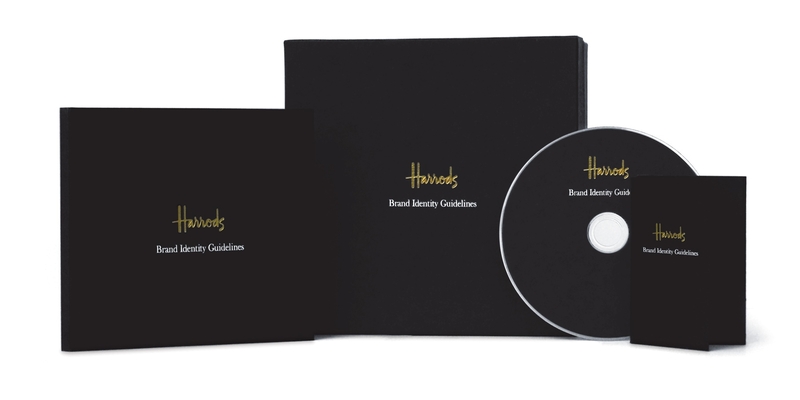 As unsanctioned permutations began to creep into the brand identity of the world’s most famous department store, new brand guidelines were necessary to guard the visual consistency and reputation of Harrods. 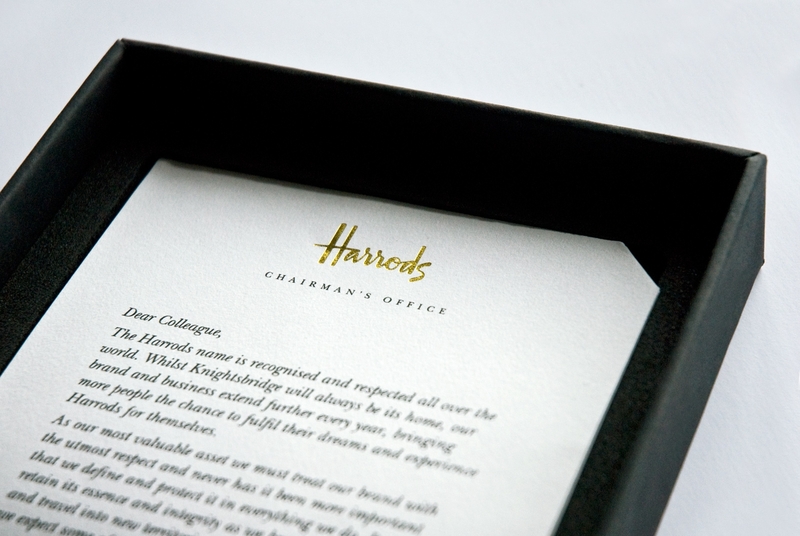 The comprehensive manual we created covered the core brand and related applications, instilling more purity as well as confidence by removing the word “Knightsbridge” from the main logotype. 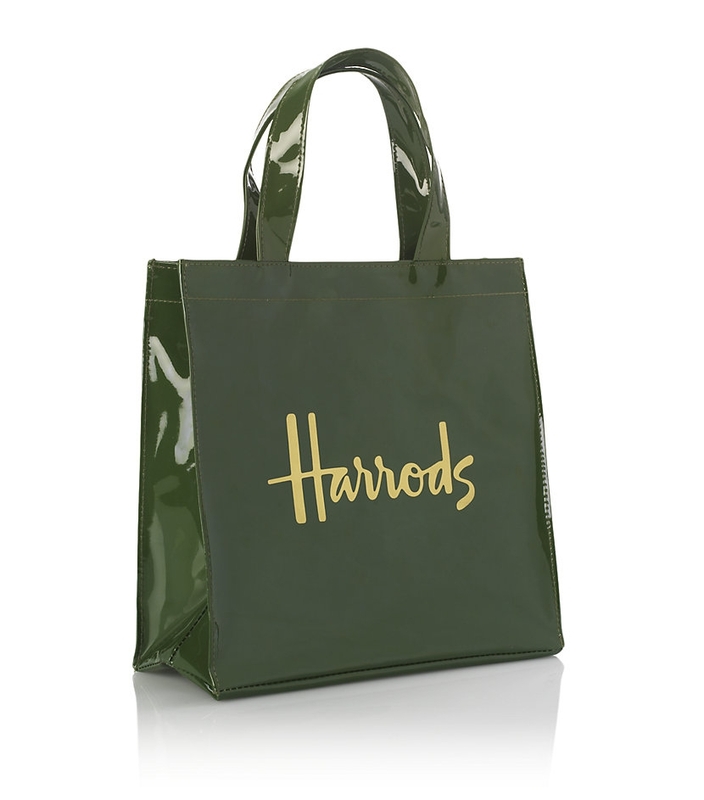 After all, there is only one Harrods.